I don’t even know where to begin with how pleased I am with these cookies. Oh. My. Goodness. These are amazing. Have you ever stayed at a hotel where they give you cookies when you check in? My family and I stayed at one awhile back, and I fell in love with the warm (yes, warm!) cookie the give you upon check in. It became a habit to request a cookie each time I passed the front desk, and now it’s habit to stay at this hotel when ever I can, so I can enjoy their cookie once again. Enter present day, when a request was made to me to bake for an event. I wanted to find a tasty fun cookie, and I remembered these Gems. I went hunting and found a post that said, “My mom worked at this hotel for years and we always had them around the house. This is the actual recipe from a chef!” I was sold, and these went on the list as cookie #27. 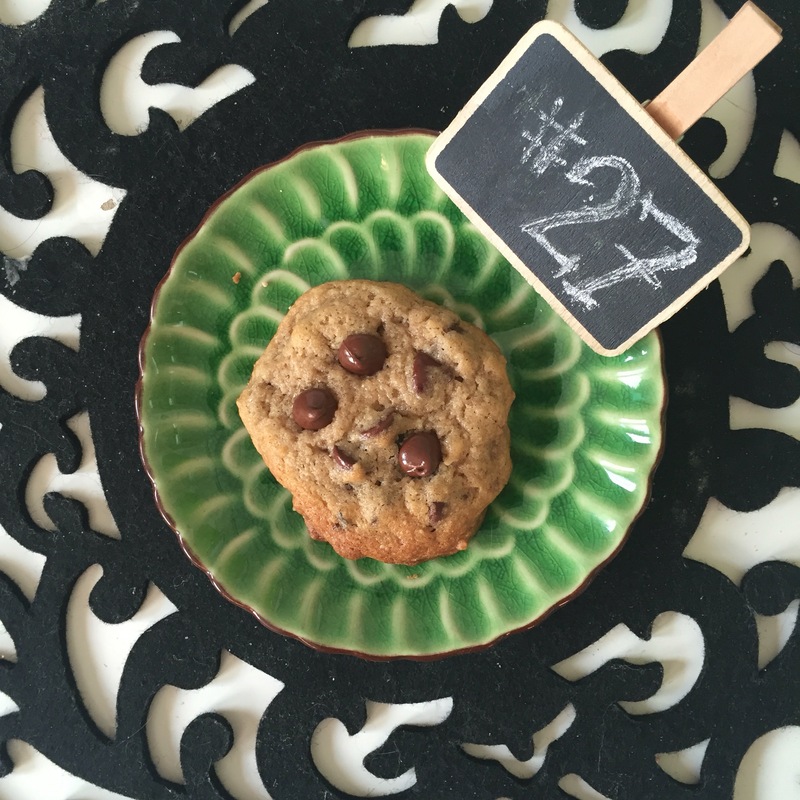 Twenty Seven isn’t only my lucky number – it’s also the halfway through my perfect chocolate chip cookie search. So, I couldn’t be happier that #27 is a winner batch. I made these cookies in stages – prepped the dry ingredients on Monday, which included finding out that you can grind oats in a blender. Wow! The cinnamon was also a nice touch. On Tuesday, I mixed the dry and wet ingredients together. Lemon juice! This is going to be fun. A little bit of cookie dough fell off the spoon and I had a (few) sample bites. Oh. My. I was so excited, I could barely wait the 24 hours to chill the dough before baking. Friday night, they baked up and I tried one ~ man, these do not disappoint! I am not a typical walnut fan, but I am not mad at this cookie for including them. These. are. amazing. My only wish is that they were bigger ~ which I will certainly remedy next time. You can find the recipe here — let me know if you love them as much as I did.